Please note that we have no control over cards being accepted or declined. Canadian / U.K customers getting this error should make sure not to place a space between the 6 characters in their zip / postal code. NOTE: If your card has been declined for any reason, the charge amount may show as a pending charge in your credit account for up to 72 hours. Although it may look like a normal charge on your online statement, it will never actually debit your account. Tracking information is provided with every order we ship via email. If delivery of your shipment has been attempted or if your shipment is being held at your carrier’s local office, it will be shown under your tracking information and a notice will be placed at your door front. Therefore, it is your responsibility to ensure the collection of any held or max-attempted shipment. Whether the shipment is intentionally refused or the shipping carrier reached their ‘Delivery Attempt Maximum’ or ‘Hold Time Maximum’, if your package is returned to Max Keyboard by the shipping carrier, your order will be restocked and refunded less the cost of shipping and 15% restocking fee. We will not ship it again for free. If you would like us to reship your order, please place a new order and be sure to double check the Ship To address provided. This add-on is popular among mechanical keyboard owners from around the world. Since most people will bottom out at least a fraction of their keystrokes, the O-Ring rubber sound dampeners will cut away extra noise giving your mechanical keyboard a consistent sound output while typing. The added shock absorption can also help with finger faitgue during long typing sessions. Made of industrial grade rubber which has much better resistant to cracking and fits firmly onto the stem of your Cherry MX keycap. Installation will require removal of your keycaps. You may place an order at any time, day or night, via our website (24 hours a day, 7 day a week). We encourage orders be placed through our website for the fastest possible service. We include most forms of online payment including Visa, MasterCard, Discover and American Express as well as ATM debit cards bearing a Visa or MasterCard logo. We also gladly accept payments through PayPal, a trusted leader in payment processing. NOTE: Your credit card will be charged at the time your order is placed. Order information is available for viewing after you receive your order confirmation e-mail. You should receive your order confirmation e-mail within up to 1 hour after placing your order. If not, please check your spam mail box. Order processing time varies from 1-5 business days depending on your order. For example, If you placed an order on a standard keyboard with no customization on Saturday, an automated email will be sent to you confirming “your order has been processed”. However, item will only be shipped on Monday during normal business hours. Once your order has been picked up by shipping carrier, a second email will be sent to you confirming “your order has been shipped” and will include your tracking information. NOTE: If you have registered an account during your order, you will be able to log in and see the history and statues of all your orders. Your order usually takes 1-2 business days to process before it’s shipped. It sometimes takes longer if order volume is high. Shipping costs are calculated based on the total weight and selected shipping option of your order and is automatically calculated during checkout process. Customers are also welcome to pick up their order directly from our showroom / warehouse in Fremont, CA. Simply select the “Will Call Pick Up” option during checkout. A “Ready to Pick Up” e-mail will be sent once the order is complete. Getting your order is now faster than ever! NOTE: For your protection, only the person that placed the order can pick it up, and the following documentation will be required for verification. Bring the credit card you used, a valid state-issued photo I.D., and a digital or print copy of the order confirmation. Bring your email confirmation plus a valid state-issued photo I.D. MAX KEYBOARD wants you to be thrilled with your new product. However, if you need to return an item, we are here to help. * All requests for returns must be made within 30 days from the date of your invoice. * RA is valid for 14 days from issue date, returns received after 14 days period may be refused and returned to customer. * Customer is responsible for shipping charges for all product being shipped for return, exchange, repair or replacement. * Please return all products 100% complete including all original color retail boxes with the packing materials, all manuals, accessories and any other documentation included with the original shipment. RA approval is contingent upon, among other things, the products being 100% complete. * All returned products must be properly packed in a suitable shipping carton. Using the product packaging as a shipping carton will result in no refund being issued for your return. Such products will be refused and returned. * Please fully insure your return shipment to cover you in the event of loss or damage. Always use a carrier that is able to provide you with proof of delivery such as UPS, FedEx or USPS. This is for your protection as MAX KEYBOARD is not responsible for returned products that are lost or damaged in transit. MAX KEYBOARD allows most products to be returned for a refund within 30 days of the invoice date. A 15% restocking fee will apply for all refunds of non-defective products. Refunds will be made by the same method of payment used by the customer; i.e., credit card purchases will refunded against the original credit card used to make the purchase. Shipping charges are not refundable. Exchanges are simply handled as two separate transactions. You will need to arrange a return for the original item and place a new order online for the new item. Please contact our customer service department to arrange a return. We apologize for any error made in the processing of your order and for any inconvenience it may have caused. 1) If you received extra items that are not yours, please contact us with the information from the items that are not yours. 2) If you are missing items from your order, please contact us with detailed information of what is missing so we can respond with a solution. 3) If you received someone else’s order completely, please contact us with the order number from the order you did receive, as well as your order number so we can track your order. Customs fees are not included in your shipping charges when you place your order. The fees are based on the value of the shipment and other, sometimes random, factors that we cannot predict. Remember, Customs Fees and Duties are the buyer’s responsibility and Max Keyboard is in no way responsible for any Customs Fees or Duties related to your International order. NOTE: We will not provide false data as to the contents or value of your order to reduce your customs fees, so please do not ask. International shipping is available to most countries around the world. Shipping fees are calculated on a combined basis of weight of your order, your destination, and selected shipping service . To check shipping costs, simply add the item(s) you wish to order into the shopping cart and proceed to checkout page for shipping calculator. Please note that customs duties, taxes and import fees, if applicable, are not included. If you are not familiar with your countries import fees and regulations, you will need to contact your local post office or customs office for more information. First-Class Package International is the most cost-efficient way of sending small packages. Select countries support online tracking with First-Class Mail. For countries that do not support tracking, you will only see package activity within the US. Shipping times can vary from 1-6 weeks. Priority Mail International will usually take around 7-14 business days. Express Mail International (EMS) will usually take around 5-7 business days. Both services provide tracking information with delivery confirmation to all countries. MAX KEYBOARD wants you to be thrilled with our awesome product. However, if you need to return an item, we are here to help. MAX Keyboards keycaps are designed to fit most Cherry MX / Razer / Gateron / Kailh / Outemu switch mechanical keyboards. Whether you have a gaming, programming, standard or non-standard keyboard layout, we have the right keycap layout for your mechanical keyboards. Hi I have a set of blank caps. I dropped them and they are now all mixed up. Is there a way to differentiate other than visually matching them based on shape and size? Is there any change you will sell R1 1.75u keycaps in the near future? Please email us at sales@maxkeyboard.com Are you looking for solid color keycap? backlight keycap? translucent keycap? Have Translucent Clear or Clearer keycap Do not have plans to produce 4.5x space bar? I want to, even custom-made …..
4.5x spacebar only available in Black color. I’m using Corsair K65 on Japanese layout. Here’s a Keyboard layout-editor’s URL. We might be able to do your layout. Please contact us at sales@maxkeyboard.com Send us some pictures of your actual keyboard. Is it possible to get a set like that at all? Yes, please email us and we can work on your custom keycap set. I have a Leopold FC660M and thus require two 2.25 Row 1 keys instead of just one. All of your keyboard layout options only include one 2.25 row 1 sized keys. Can this key (shift at 2.25 wide) be individually bought on top of a full set so I have both the keys I require? We can swap out the R-Shift (R1 2.75) and change it to (R1 2.25). Just let us know if the comment section during checkout. How does black legends on black keys look like? I really like the almost invisible style printing. I’m wanting to order some new keycaps for my new CM Storm QuickFire TK, since I prefer to lay out my keyboard in dvorak… but if I do that, my key heights will be all uneven (the rows on the keyboard are leveled, and go with a querty layout by default). I really like all of your customization options, but can you do different fonts for the letters on the keys? I wouldn’t mind something a little closer to what came on my keyboard by default, rather than the standard generic sans-sarif-arial-like font. Thank you for your time. We can customize CM Storm QuickFire TK for you. I will communicate with you via email. Thank you. is there any chance you’ll offer Hungarian or Japanese keycaps/layout in the future? We can customize hungarian QWERTZ layout. But we can’t do Japanese due to the size of the spacebar. Need more 1.25x and 1.5x keys, esp. backlit ones… Even if it’s just the different texts available. Have an oddball keyboard… Thermaltake Poseidon Z, which has 1.25x and 1x modifiers, with a 7x space bar. I can keep the existing space bar, but lack of options in modifiers, esp. backlit ones, makes me hoping you’ll get your backlit custom keys out soon! Hello, I’ve just build myself a pair of Infinity Ergodox and quite love them. But I would definitely love to get Max Universal Cherry MX Translucent Clear Black Blank keycaps for the perfect finish. Unfortunately, I could only find the full standard set on this site, which doesn’t contain enough 1.5 sized keys. Any chance to buy single keycaps from that series? Do you have any plans to sell the Translucent black mod packs for WASD, Arrows, and Esc with front printed legends instead of just blank? Can I add a Bluetooth USB adaptor to the Max Blackbird TKL to make it work wirelessly? No you can’t. It doesn’t work that way. Hello, I need a complete set of standard caps keyboard G710 + with Russian layout, how do I buy this product? My keycaps was damaged need to replace them. i want to purchase a keycap set but i am not sure what spacebar i have 6.25 or 6.00 i have a keycool hero keyboard but is there any way to look it up? When are you going to get nighthawk x9 with red switch and red backlight back in stock? A Blackbird TKL full custom backlit with an ISO french layout. Any chance to see it? 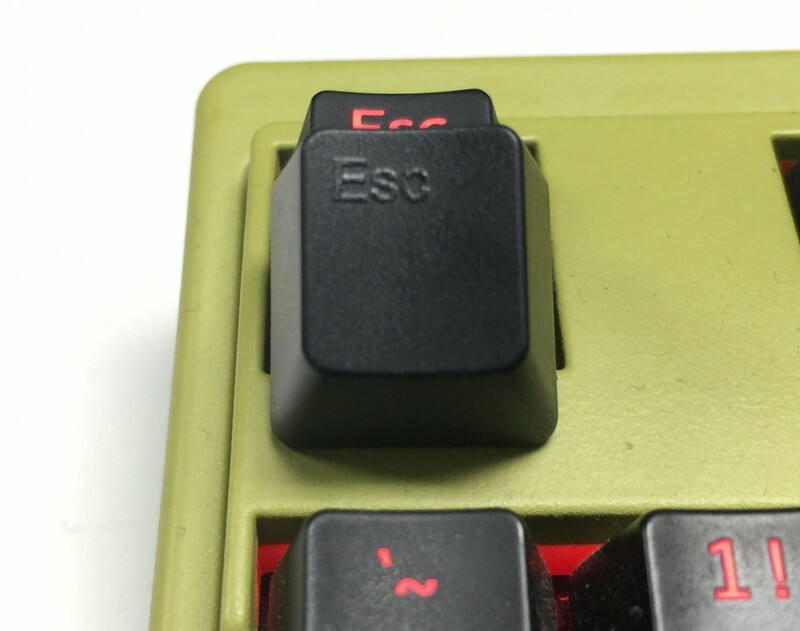 I was just wondering if you may any Cherry MX keycaps or keycap sets that include a stepped capslock key? How do I reset Max Keyboard Blackbird Tenkeyless back to factory default settings?? I’m reading reviews and forum posts that the Max Keyboard X8 lights will not work under Linux. However I’m using the backlights and controlling them via the numpad just fine under Fedora Linux 21. Is Linux going to work with this keyboard or not or what does your testing show as not supported. So far it seems to work for me. However and features and improvements for Linux would be appreciated. One thing I’d like to suggest, the dimming and brightening of the LEDS does not extend to the Numlock, capslock and “G” lights above the numpad. It would be nice if those would also obey the Fn + 8 / 2 keys as the rest of the LEDs do. Does the Max Universal Cherry MX Translucent Clear Black Full Keycap Set (Top Print) fit this Deck keyboard? TG3 Electronics KBA-CBL87P-WHT-DPU-G1 DECK 87 KEY WHITE LED BROWN MX SWITCH from antonline (Amazon). I am curious about your keycaps sets. I can’t tell from the photos, but does each row have a unique pitch to it? I don’t use QWERTY, I prefer dvorak and will plan to rearrange the keys on my keyboard, but I want to know if in doing this, will the keys be uniform in pitch, or will they have different angles on them? Thank you for your time to respond. Plan to buy “MAX UNIVERSAL CHERRY MX TRANSLUCENT CLEAR BLACK FULL KEYCAP SET (TOP PRINT)”. Will they fit on my corsair veganxe k70 cherry mx red switch?